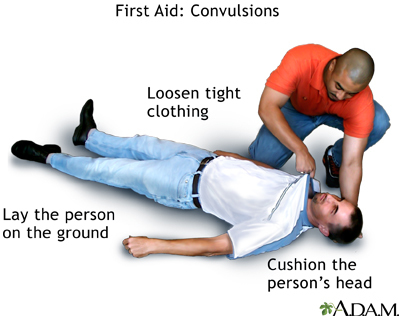 When a seizure occurs, the main goal is to protect the person from injury. Try to prevent a fall by laying the person on the ground in a safe area. The area should be cleared of furniture or other sharp objects.